3/18/2011Share this story on Facebook! Sounds like a foreign country, right? Well, it actually stands for Office of Student Engagement and Multicultural Affairs and is your one-stop shop for getting involved, finding leadership opportunities, and even starting your own campus organization. 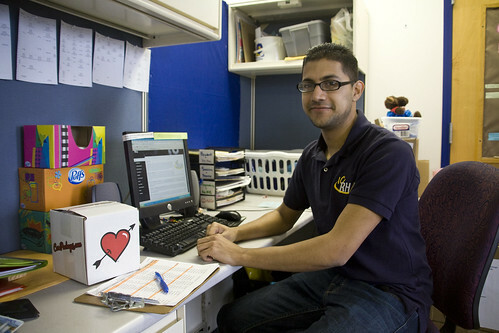 This is the office that organizes freshman orientation and all first-year experience (FYE) events. OSEMA also helps organize the Student Organization Fair, where campus clubs recruit new members. Come to Ithaca College. Get involved. It’s that easy! Sheraz Iqbal was recently elected as a Regional Communications Coordinator on the Regional Board of Directors for the Northeast Affiliate of College and University Residence Halls! It’s 5:10 on a Wednesday morning, and Morgan Ewing is headed to crew practice. A few hours later, he eats breakfast, then works in the Student Government Association (SGA) office until noon, grabs lunch, heads to class, runs errands, attends his senior seminar, then goes straight to a senior gift committee meeting, ending the day with a two-hour-long SGA meeting. It seems crazy, but this sort of schedule is typical for many Ithaca College students (who also manage to squeeze in sleeping, studying, and socializing with friends!). Although academics are always their main priority, students take advantage of the many clubs, sports teams, and community service organizations that the College offers. Here are five examples of all-star Ithacans who balance academics with out-of-class activities. Ewing does the ultimate balancing act as an intercollegiate athlete and a fixture on the IC academic scene. Studying is his number-one priority, but he still makes time for his student government position, which he sees as crucial to keeping students informed on the latest academic news that shapes their college careers. 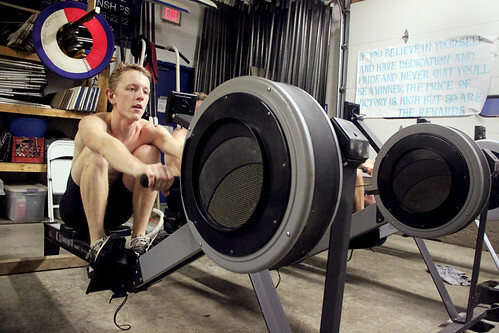 Ewing is incredibly passionate about rowing. And he’d better be—the team has five three-hour practices a week year-round and regattas every weekend in the spring. “It’s a great way to stay focused and relaxed during the day, because you can’t worry about school or anything else when you’re on the water,” he says. Ewing plans to use what he’s learned at IC to enter the Peace Corps after graduation and someday make a name for himself in government. As the student director of the Alumni Association, Heiss serves as the student liaison between alumni and the College, attending alumni board meetings, cochairing the Fall Splash Alumni Weekend committee, and writing a column for the alumni e-newsletter. On campus, she uses her role as a student government senator to enact changes proposed by her peers, coordinating events, and administering surveys to get feedback from her classmates. She also leads tours as a Dean’s Host for the Roy H. Park School of Communications. When Robinson was looking at schools to attend, it was IC and its endless opportunities for involvement that drew her from her native Jamaica. “Ithaca College has opened so many doors for me,” Robinson says. Her major may be a handful at times, but she likes to share her passion for science with other students and her international friends by tutoring them in her spare time. 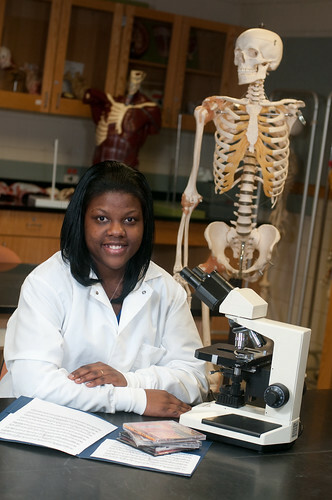 The aspiring cardiologist credits organization and time management for her success. With her diverse experiences, she really could end up being a doctor without borders. Tenenbaum has been balancing a packed schedule for quite some time now. “I think fourth grade was the point when I stopped being a slacker and got involved,” he jokes. 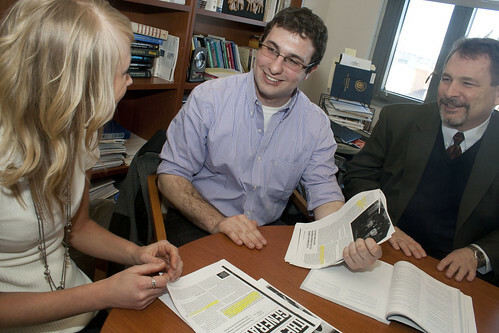 Since coming to Ithaca College, Tenenbaum has taken full advantage of the many clubs and positions available in and out of the business school. “At no other school can you get this hands-on experience,” he says. Tenenbaum assists business professor Mark Cordano with the Strategic Management senior capstone course, preparing information regarding M.B.A. programs and global business tactics for the students. Iqbal is known for his elaborate floor programs and door decorations that bring his floor together and really set him apart from the other RAs on campus. As the president of the Residence Hall Association (RHA), he helps plan large-scale events, like IC’s annual Earth Day celebration. Iqbal is so passionate about residence life that he plans to become a residence director and pursue a graduate degree in student affairs administration.